With their excellent second album, Cleopatra, taking off four years after they released the modern-day folk-rock classic, The Lumineers, in 2012, fans of Americana should take stock of a fabulous band fronted by Wesley Schultz and his principal songwriting partner, Jeremy Fraites. Though now based in Denver, Colorado, The Lumineers’ origins lay in New Jersey and combined a mixture of initial tragedy and happenstance – of which more later. Their debut, released in April 2012 via Dualtone Records/Dine Alone in North America, and on Decca in the UK and Germany, contains that essential feel-good earworm monster smash ‘Ho Hey’, a party anthem that characterised the summer of 2012 and reached multi-platinum status in the US and every major European territory. A measure of this onrushing whirlwind of a track can be seen in the fact that it was No.1 in the year-end charts on both the Billboard Adult Contemporary and Adult Top 40 charts; at its super-selling peak it figured in over 20 national Top 20s. However, the band’s straightforward and communal style doesn’t end with ‘Ho Hey’. The ensuing ‘Stubborn Love’ and ‘Submarines’ are further examples of their glorious blend of bittersweet Celtic licks and outrageously uplifting and punchy line in take-it-to-the-bridge choruses. 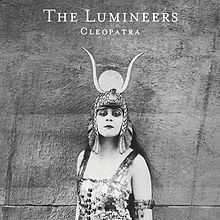 Cleopatra simply picks up and runs with the big acoustic Lumineers sound, in which Neyla Pekarek’s cello and vocals are a vital ingredient once more. Producer Simone Felice was a great choice for the second album. As a founding member of the legendary Felice Brothers he proves to be both foil and mentor, given his own East Coast roots and the Felice boys’ role in revitalising the folk-rock movement in America, while staking their claim for a place in the Great American Songbook. It’s not so much a case of passing the baton, more one of maintaining a standard – and early release singles ‘Ophelia’ and ‘Angela’ show that The Lumineers are doing just that. Childhood friends Wesley Schultz and Jeremiah Fraites were thrown together as musical teenagers following the tragic death of Josh Fraites, Jeremiah’s brother. Songwriting became a source of solace, and the duo expanded their vision with regular trips from Ramsey, New Jersey, into the city of New York, where they picked up gigs under such ad hoc names as Free Beer, 6Cheek and the catchy Wesley Jeremiah. At that stage it was the usual blend of covers and experimentation; gradually, originals began to seep in and a house style of sorts emerged. On the other hand, New York wasn’t quite ready for them. Exhausting their local options they took a chance and swapped Brooklyn for Denver, soon hitching onto the open-mic scene at The Meadowlark, whose rowdy clientele helped hone their set with full audience participation: helpful considering that early shows consisted of two voices, plus a guitar and tambourine, though their trademark clothing – down-home scruff, simple tees and suspenders – gave them a “look”. Working hard on a collection of increasingly cool songs, the boys hooked up with Neyla Pekarek via a Craigslist ad, and released a home-recorded EP. ‘Ho Hey’ was one of their first efforts and always proved to be a crowd pleaser. As its absurdly catchy refrain began filtering to the airwaves it also became a kind of acoustic answer to Queen’s ‘We Will Rock You’, and in early 2012, Seattle DJ John Richards began blasting it out twice a day on his KEXP-FM show. 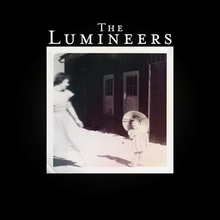 A deal with Dualtone/Dine Alone/Decca ensued, and The Lumineers self-titled debut dropped on a curious public and then began to fly. No doubt the irresistible momentum of ‘Ho Hey’ was a catalyst – the official video has notched up nearly 150 million hits – and was shared, downloaded and passed along by word of mouth until it seemed that the whole of America was humming along, but the quality of the rest of the album stands up to scrutiny. Working with producer Ryan Hadlock, The Lumineers reclaimed the acoustic-driven disc for a modern audience and also delighted older-timers who shared the group’s enthusiasm for the likes of Talking Heads, Bob Dylan, Bruce Springsteen, Tom Petty and Leonard Cohen. Those kindred spirits helped launch staggering sales and threatened to deplete stocks of platinum. We recommend the album be discovered with Deluxe Version bonus tracks, including a tasty version of Talking Heads’ ‘This Must Be the Place (Naïve Melody)’ (originally recorded for the great Speaking In Tongues album of 1983. Here you’ll also find a live version of fan favourite ‘Slow It Down’ and two of their on-trend girl-name songs – ‘Elouise’ and ‘Darlene’. The Lumineers were extremely savvy, making a piece of work that was never too big for its scuffed boots, meaning it all works perfectly well live without much more tinkering. The combination of guitars, ukulele, cello, keyboards, various stringed instruments (courtesy of Stelth Ullvang) and the rock-solid rhythm bed of Fraites’ drums and Ben Wahamaki’s electric bass translate from home stereos to worldwide stages without skipping a beat. The inevitable and enjoyable round of world touring made The Lumineers’ point as they reached out to everyone from New Orleans to Chalk Farm, London. Crowds were smitten and resistance was futile. A measure of their standing can also be seen by the use of their music for ‘The Hanging Tree’ in blockbuster film The Hunger Games: Mockingjay – Part 1, where starring actress Jennifer Lawrence turns in a sweet vocal performance. Another new song is the sidestepping and haunting ‘Visions Of China’, as featured on the horror drama TV series The Walking Dead: a great cult item for zombie lovers. Though they are the first to emphasise the fact that they are not reinventing the wheel – and nor are they trying to – The Lumineers certainly make it spin like a dream. Not everyone can do what they do: like they say, it takes hard work to make it sound this easy. With acoustic music not only back in the room, but actually holding centre-stage, The Lumineers are ideally situated to entertain us all. As for the happenstance alluded to above: it turns out they got their name when sharing a billing with another act called Lumineers. The MC mistakenly appropriated it for Wes and Jer – and, ho hey, the rest is history. The Lumineers, a folk-rock trio out of Denver, Colorado, have a pretty interesting sound, an Americana mesh of folk, rock, and gospel that is similar in tone to the Waterboys, say, or an alt-folk version of Bob Dylan circa Desire, thanks in no small part to Neyla Pekarek's inventive cello. And there are some very good tracks on this debut album, including the chamber honky tonk of "Dead Sea," the delightfully goofy but then ultimately sad and elegant "Submarines," and "Stubborn Love," which manages to be bright and chiming while also being haunting and mournful. Not everything here clicks together at that level, but each track is inventive, and when the songwriting and arrangements cross paths perfectly, as they do in the above songs, this is a delightful band.